Last night I went to The State Library of Victoria to attend the book launch for Jay Kristoff and Amie Kaufman’s new book Obsidio, the third book in the Illuminae files trilogy! Jay and Amie were in Sydney and Adelaide before they made their last Australian stop in their home city of Melbourne! We were told that we had the highest turn out of all of Australia, and before they even move on to the American’s I’m sure Melbourne will still be the biggest turn out!!! Jay Shared some cool space facts, spoke a lot about the Illuminae files and answered questions about a potential fourth book which they said they wouldn’t do, unless they were so bored out of their minds. Though they have so many many more projects to work on, I don’t think authors ever get bored. There was so much going on at this event. It was amazing! Everyone of my new friends in one place. If ya’ll are on bookstagram, then you must know Queenslander @bibliomeds cute minimalist account, also maintaining a cute minimalist book blog called Bibliophilic Med Student. She came down to Melbourne for the Ed Sheeran concert (and the book launch) and it was a blessing to finally meet someone I had silently fangirled about over Insta!!! After waiting at the very end of the line (we were group 5) so we waited a long time in the line, but finally it was out time to meet the legends! Wing Yee and I with Amie & Jay! 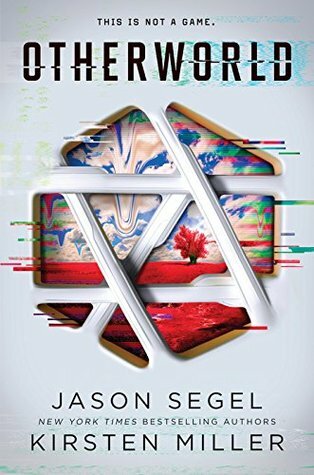 The night before I’d painted my nails a galaxy theme to match the Illuminae files series, and the cover of Obsidio (pictured below). It didn’t come out as planned because I don’t have a ton of colours at my disposal – unlike SimplyNailogical – but it turned out super shiny, the image doing it no justice at all. The above comments exist only because I got super nervous during the meet and greet and forgot to show Amie and Jay my nails!!! I was so awkward and nervous, I love them so so much!!! Lastly, Jay Kristoff Instagram stalking….. The obligatory sticky-note photo! In which I forgot to look where they put my sticky note so now I can’t find my one. And of course, Jay and Amie did the (other) obligatory Illuminae files book wave! He posted it to his Instagram (@misterkristoff). Thank you so much for making it to the very bottom of this very long fangirlly post! Have you read Obsidio yet? I’ll have a book review up (hopefully) next month – no promises tho!